Three-dimensional (3D) models are acquiring importance in cancer research due to their ability to mimic multiple features of the tumor microenvironment more accurately than standard monolayer two-dimensional (2D) cultures. 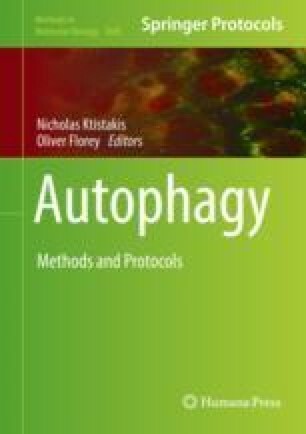 Several groups, including our laboratory, are now accumulating evidence that autophagy in solid tumors is also better represented in 3D than in 2D. Here we detail how we generate 3D models, both in vitro multicellular spheroids generated from cell lines and ex vivo tumor fragment spheroids generated from tumor samples, and how autophagy can be measured in 3D cultures. This work was supported by the Simmons Mesothelioma Foundation; CF was supported also by the Meso Foundation under grant 383573.